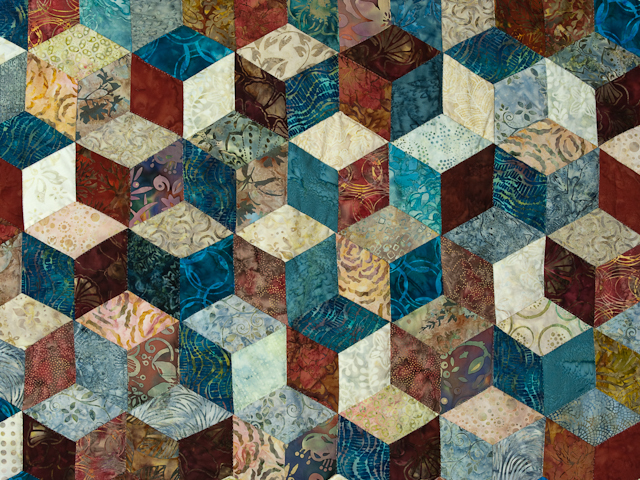 Imagine using batiks! A fresh but traditional pattern done with a new look. 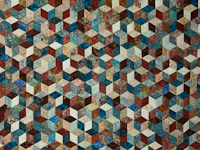 Vibrant reds, vibrant blues and neutrals make this classic Tumbling Blocks a winner. Another wonderful creation of C Jean Horst. 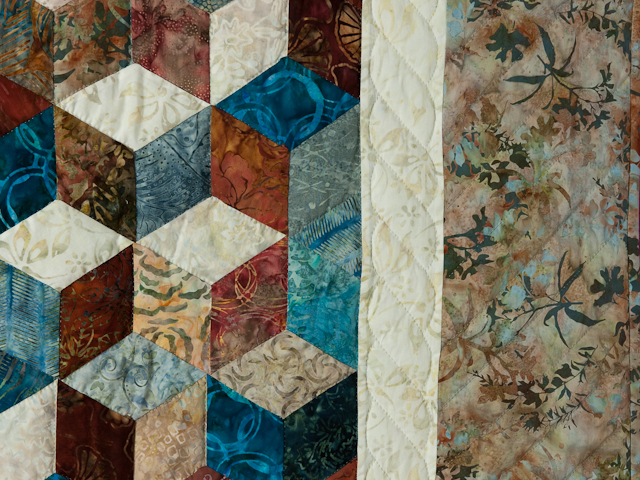 Excellent and precise patchwork piecing and lots of fine quilting. Made by Lancaster County Amish woman. 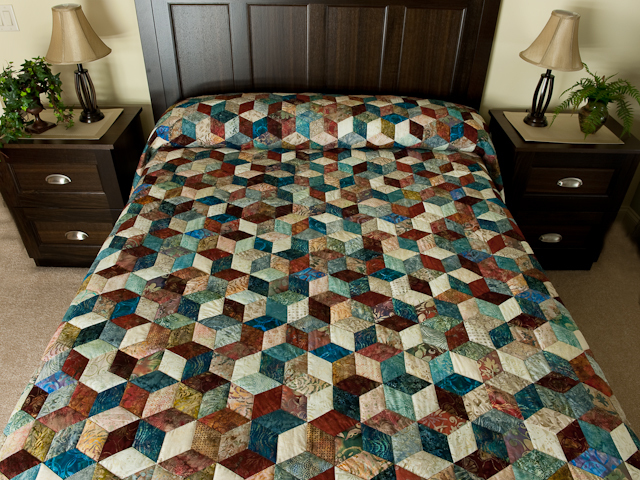 This quilt is symmetric with all borders equal and may be used sideways on a king size bed. Notice it has a 3 dimensional appearance. 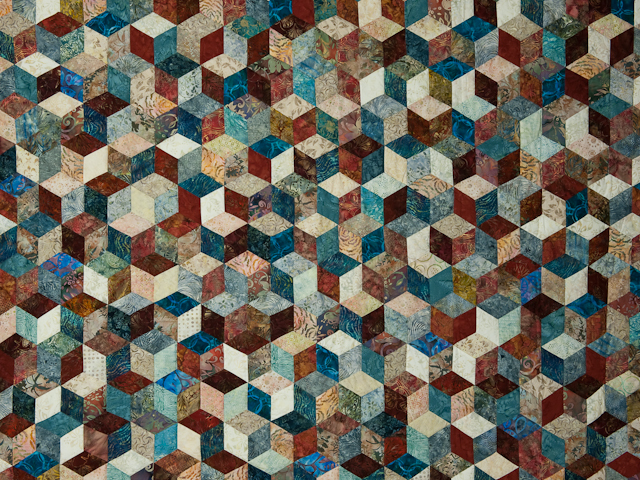 Fun quilt pattern to gaze at for a long time. 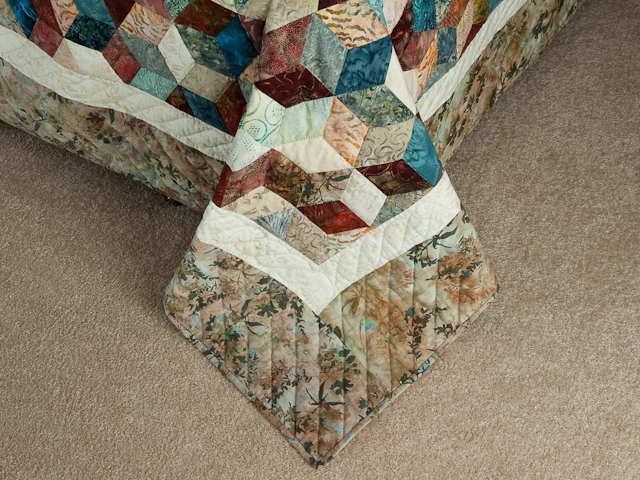 A 100% cotton backing of neutral marbled Northcotte fabric covers the back of the quilt. 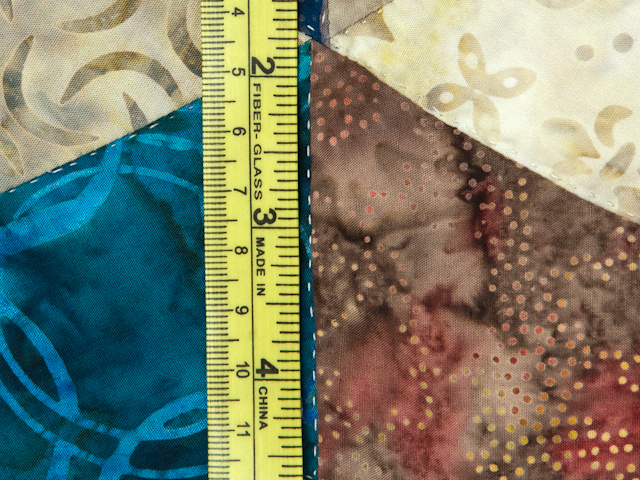 The quilting density is good, averaging about 125 linear inches of stitching per square foot. The stitching is excellent with about 8 stitches per inch. 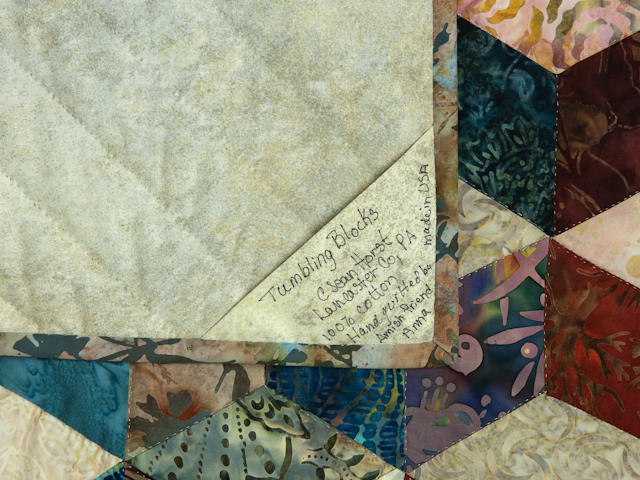 The corner tag on the back has documentation of the name of the pattern, the origin and the maker as well as the note about made in USA. An old traditional pattern made new! 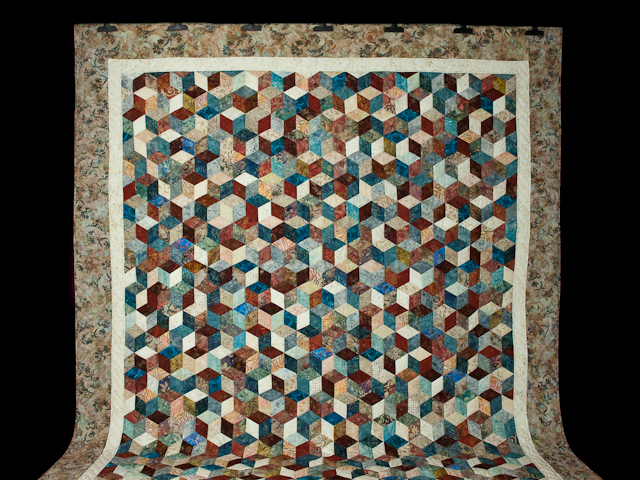 A high quality quilt.